If our children do not learn the old ways, it is because we have failed to teach them. I am sorry to say, but it seems that all Native American homeschool associations and support group sites have closed down. Some programs and curriculum resources remain. 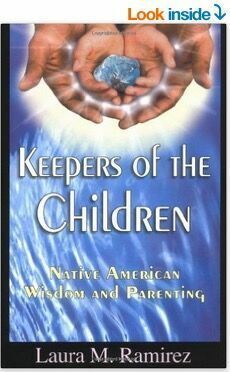 If you personally know of any active Native American homeschool groups, please post in the comments section below. Do look for local Native American and People of Color support groups in the regional support groups lists on this site. It has been established to assist Native people, government agencies, educators and the general public in gaining access to the knowledge base that Alaska Natives have acquired through cumulative experience over millennia. Feb 28, 2013. The Cherokee Nation Tribal Council voted Monday to broaden its concurrent enrollment program to include even more students seeking higher education credits in high school. Previously, the concurrent enrollment scholarships were open only to Cherokee citizens in their senior year in high school. Monday night’s amendment to the Concurrent Enrollment Scholarship Act of 2011 now paves the way for high school juniors and homeschooled students to also receive funds. A community for Indigenous homeschoolers to share idea’s and find support. This group welcomes all, including settler allies who want to learn how to be more inclusive and decolonize their own homeschooling. What sets Native Child curriculum material apart is quality and durability of material, attention to detail and beautiful images that make teaching and learning fun for both students and teachers. And of course, it is all bilingual, Diné and English!